What is the secret to becoming a dominating scorer? This post was motivated by my experience playing my first intramural basketball game of the year at UBC. It was a very frustrating but fun game at the same time. We were down by 25 points at one point but got it down to 6 points with a couple of minutes remaining but we just could NOT close the gap. Why not? The rest of the post will delve into this and this lesson is really important for any of you who are going to be leaders of your team and need to decide what’s the best way you can contribute to lead your team to victory. I did NOT make the correct decision in my game and it cost our team the game. There is this extremely pervasive but untrue myth in basketball that to be an amazing scorer that you need outstanding or out of this world offensive skills. That is just NOT the case. Unless you are playing in the NBA or for a high major D1 college you do NOT need outstanding or out of this world skills (although it can not hurt). This is very analogous to why you don’t need world class speed to blow by opponents. Only at the highest level in which everyone has world class size, length and speed do you need to have the extra gear as well to be a great scorer. This is what separates the MJ’s and the Kobe’s of the world from our mere mortals. Nevertheless they still flawlessly execute the two key principles I have mentioned below. 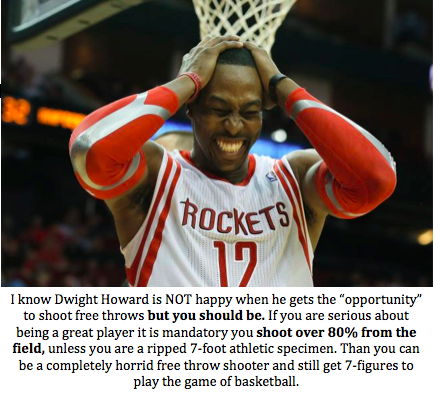 Get to the Free Throw Line – This is not only a great way to rack up easy points ( but it is also a great barometer of how aggressive you are being). However, if you are being aggressive but are not able to get to the free-throw that means you are having troubles getting past your man cleanly and getting to the rim. This is a skill you must have if you wish to play at the next level, and is something you need to work on right now. There will be a future post very soon on how to increase the frequency you get to the line. Be able to score in a variety of ways –You do NOT need any one world class skill but you do NEED a variety of good skills that will allow you to score one or two times in a variety of ways. Unless you are Lebron James just having a hesitation and then plow your way to the hoop is NOT going to be good enough to allow you to be a great scorer. So I am going to give you a quick re-cap of my own performance in my game to highlight how these principles apply in a real game. This game was my first real game in a full court in over 4 months. Also, I am involved in a very busy and demanding graduate program and teach part time. So I am not training all day to become a great basketball player. Therefore, my performances was NOT due to improved preparation/training but because I understood the framework above. In reality I am most likely playing much much less frequently than most of the people who compete in the Elite division intramural league. So I made sure early on in the game to be aggressive and create the precedent of getting to the free-throw line. Overall I had about 8-10 points from the free-throw line (a couple of and 1’s). Then I hit about 2 three pointers off kick outs and three I created myself. So right there is around 25 points. I hit a lay-up form a steal, and a pull-up jumper. Throw in a couple of And 1’s. There is around 35ish points. I am NOT telling this to show off how great I am. That is NOT the point of this. The key is that despite me being able to score well and efficiently we lost! What was I doing wrong? Scoring is extremely taxing and completely drains you. 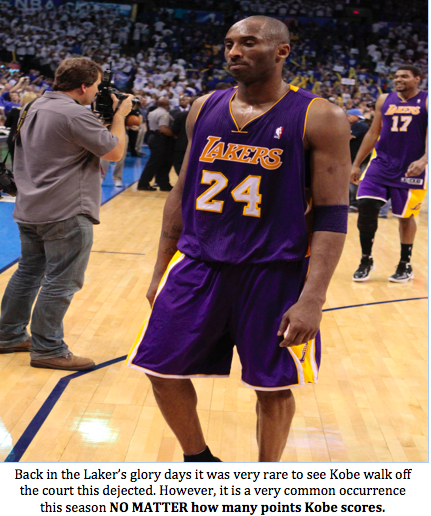 Even the great Kobe Bryant in his old age has come to the realization that scoring drains your legs more than anything else. Unlike Kobe I am a young guy, but I have NOT been running hard enough to score the way I did and still contribute in other facets of the game. Even though I was able to score efficiently the game seemed like such a struggle and we were never able to capture a lead. What was I doing wrong? I was NOT focusing my energy on the aspects of the game our team needed the most. We had no business losing to the team we played, and no excuse at all to be down by 25. There were a very bad team, but they did have some big strong guys, and our team is very offensively talented but small. Therefore we got absolutely killed on the boards. The video above was embarrassingly indicative of my defensive effort in my game. Why? Because my energy was drained from scoring. Usually I am a really good rebounder and defender and that is where my team needed me the most. However, I was unable to help my team in that respect because I had consumed all my energy scoring. Obviously it would be ideal to be able to do everything, however, that is what makes MJ such a special player because he did NOT have to follow the rule of physics and have to worry about energy management like the rest of us. If you are NOT MJ then it is vital that you focus your limited energy in a game to the areas that your teams needs the MOST! In retrospect to best help my team I should have focused more on facilitating, as we had a handful of both good shooters and finishers, and funnel my limited energy to defending and rebounding which was an area our team was lacking. This is a very important concept and one that many young players do NOT take into account. I know I did not. Just because you can score a lot of points does NOT mean you should/need too unless its the best use of your energy to help your team win. 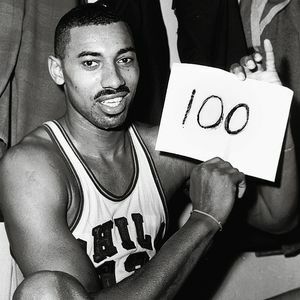 At the end of the day it does NOT matter how many points YOU score but that your team scores more than the other team. 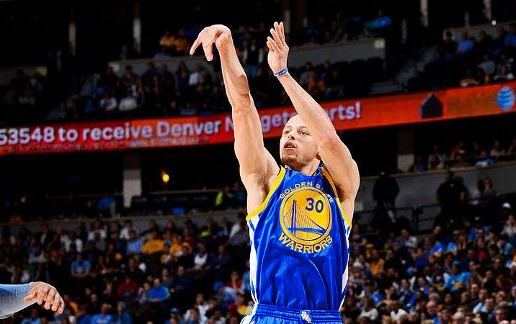 Steph Curry is one of the best shooters because of the deliberate practice he puts in on a daily basis. I was motivated to write this blog post because of all the minutiae out there about how to become a great basketball shooter. Shooting the basketball was an aspect of my game which always gave me trouble. There were periods during my basketball career in which I shot the basketball extremely well. However, there were plenty more times in which my shooting skills seemed to be stolen from me like in Space Jam. As soon as my shot began to falter I instantly began researching what could be wrong. There is so much non-sense out that is not helpful and some of it is even harmful. I used to obsessively research the vast amount of knowledge that is out there, and that tended to lead me even more astray. However, after reading the four hour chef (future book review, its not just about cooking but hyper learning in general) my shooting woes ended. Shooting, like any physical skill should be relatively easy to gain a highly proficient level of skill in(top 5-10%). It is the attainment of world-class class skill (top 0.001%) that takes year and years of deliberate practice. But you may ask if it is relatively easy to achieve high proficiency why do so many athletes (such as myself) miserably fail to achieve such levels or are maddeningly inconsistent. The reason is that they do NOT base their practice on sound principles nor are they practicing with built in feedback mechanisms. These are the two most important aspects of any learning program, without it your succes is going to be very inconsistent and limited. The rest of the post will detail the principles (techniques) needed for great shooting and practice (with appropriate feedback mechanisms) that will ingrain the correct techniques in your nervous system. 1. Elbows and Wrist at 90 degrees – This is absolutely essential, and too many pro athlete do NOT abide by this fundamental principle. They are plenty of cool and quirky devices out there to force yourself to maintain right angles (which are you friends) in your wrists and elbows. However, as has been discussed in previous posts about mindfulness and tai chi it is absolutely essential to be paying attention and completely present while practicing. I have found through my experience that rapt attention was sufficient for integrating these right angles into my muscle memory. Look at the beautiful 90 degree angle at the wrists and elbows. 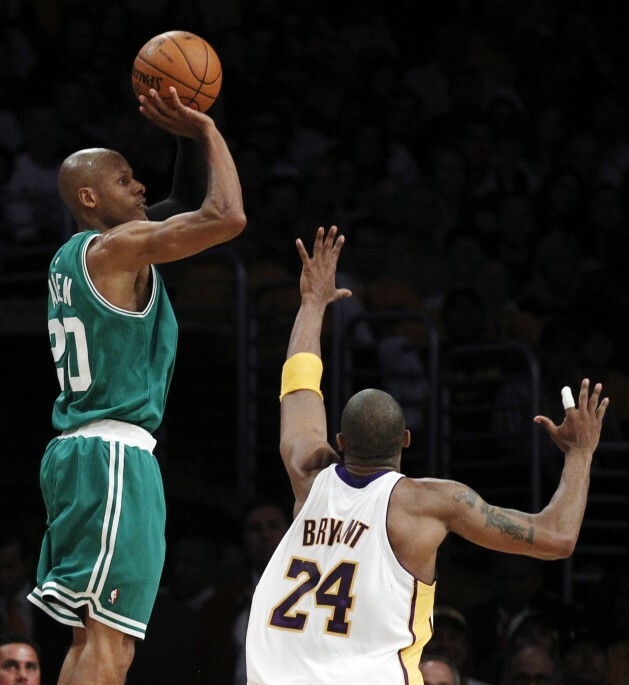 It is no wonder why Ray Allen is one of the best shooters in the history of the game. 2. Shot Line (and eye dominance) – (again see the image above) – This was the most important principle I was not aware of. Once I integrated this technique into my shot, it was like I had consumed a magic pill that instantly allowed me to shoot lights out. You want your shot line to be as closely aligned with your dominant eye and to have the middle of the ball only travel along the shot line. If you want to increase accuracy (in any physical act such as throwing, golfing etc.) you want to eliminate excess motion. But how do you determine your dominant eye? It is quite simple, extend your arms out and create a a circle with your hands. Sight a target around 20 meters away with both eyes. Then close one of your eyes, and notice whether the object jumps out of your focus (outside your hands). So if you close your right eye and the object does NOT move than you are left eye dominant, and vica versa if it does move than you right eye dominant. For many right handed dominant players they are left-eye dominant (opposite for lefties). However, many coaches erroneously tell players to line up their shot with their dominant arm. But because many righties are left eye dominant there head moves in attempt to line up their left eyes. Then coaches are flabbergasted by why accuracy suffers. However, it it is very easy to correct this by moving your shot line more towards the middle of your body (if your dominant eye and dominant arm are on opposite sides of your body). There is no need to move it completely to your left as no one is completely 100% dominant with one eye. As can see in the images above both Stephen Curry and Ray Allen (two of the best shooters in NBA history both do this instinctually). 3. Legs for Distance, Arms for Aim – Have you ever wondered why the muscle bound NBA power forward struggles to barely get the ball to the rim from the 3 pt line, but the skinny and undersized middle school kid can effortlessly hit threes. It is a perfect example of this princple. Do NOT “throw” the ball to the hoop. This was another principle that was a game changer for me. I have always been a good leaper, and after watching too much of kobe byrant I always tried to get as much lift on my jumper as possible and shoot on the apex. That was a huge reason why my shot was so inconsistent because the majority of the time I was using my arms for distance. Which is why even though I could bench 275 lbs in high school at times I struggled to get the ball to the rim from the 3 pt line. How can you avoid this problem? Make sure that the force generated by your arms should only account for 3-4 feet of distance. The rest should come from your legs. What is a cue you can use to ingrain this principle in your shooting practice? Time the breaking of your wrist (release of the shot) with your feet coming off the ground. Doing this allows your arms and hands to be as relaxed as possible allowing them to do what they should: aim the ball, not generate power. So it is great that you have the three most fundamental principles of great shooting, but how do you quickly and easily implement them so you begin draining shots. The most important skill you need to develop is to be able to keep the ball straight for at least 80% of your shots. Missing shot or long are very easy to correct (just more or less legs). 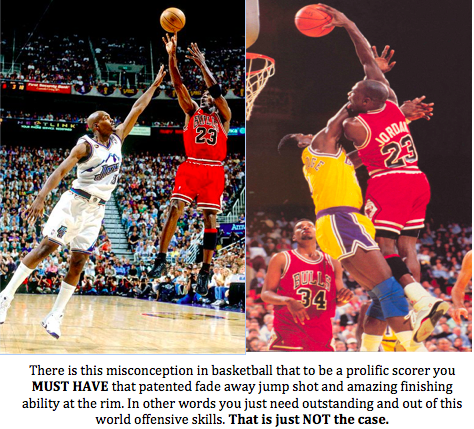 However, misses left or right means that there is something fundamentally wrong with your shot. Therefore, the first drill to do (with a built in feedback mechanism) is to go find a line in your gym. Line up your shooting line with the line, and pretend you are shooting at a 10 foot hoop (do not shoot at a hoop yet) and aim to shoot the ball 5 feet away. If you are able to shoot the ball correctly it will land on the line. You do NOT move on until you can hit the line at least 20 out of 25 times. The next progression is to take your first 50 shots between just under the rim and about 5-7 feet, while ensuring that you are not missing left or right, and only misses are long or short. Only once you can do this then can you move on to further distances, and the only adjustment should be the legs. Your arm motion should be identical 2 feet from the hoop and 20 feet from the hoop. J.J Reddick another world class shooter who is the all time leading scorer at Duke University takes his first 50 shoots before any practice from 5-7 feet from the hoop. If this is good enough for J.J it is good enough for you. These principles and drills have been vital to allow me to maintain a great jumper while not needing to touch a ball for months and only needing a couple of quick tune-up sessions before I begin to play basketball. However, even if you are not a basketball player or do not like basketball, just experimenting and taking a little time out of your day to master these techniques will enable you to have a great time (as sinking shot after shot is a great feeling) and develop a greater understanding and appreciation for one of the most popular sports in the world. How to get noticed by scouts and coaches without fail: The SKILL of playing hard. 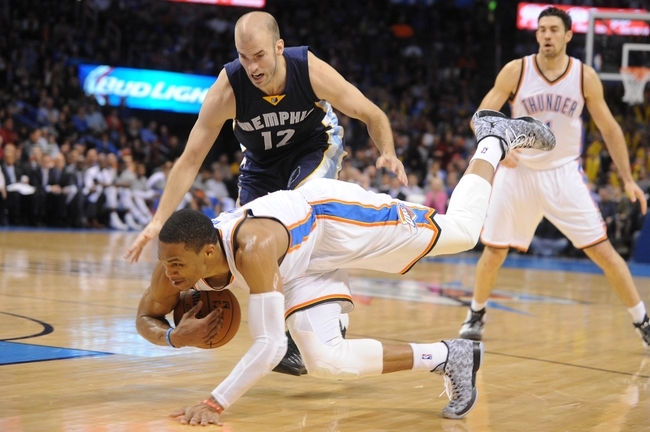 Russell Westbrook is one of the fiercest competitors in the NBA. I was motivated to write this blog post after watching my little brother compete in his first exhibition game of the season. Their team was substantially more skilled and talented; however at the end of each quarter they always seemed to be down by a handful of possessions. Why were they not consistently beating the other team? They were getting out competed. Why did this happen? Are they not a hardworking group? NO, they just have not learned the skill of how to play hard and with ferocity on a consistent basis. This is the most important skill you can possess as an athlete. No matter how skilled or talented you are if you don’t play hard you will always be the focus of your coaches ire and never reach your full potential. And playing hard is NOT something you can not turn on and off. If you fall into this trap you will end up finding that when you need that extra effort the most it will be missing in action. So the next question will be how can you learn to play hard? Playing hard is a skill that is partially physical and mental. You must be in sufficient physical condition to play hard. The vast majority of basketball players vastly overestimate their conditioning levels. I know I did, and it held me back. Imagine being fresh during the fourth quarter while your competition is barely able to run up and down the floor. The advantage this would give you is obvious. How do you get in good enough physical condition to play hard all the time? You need to focus on two things, cutting down your body fat% (so you have less extra baggage to carry around) and increasing your cardiovascular output. I have found the solution to improve both aspects to be quite simple. WALKING. I recommend the first thing you do when you wake up (before you eat breakfast) is to go out for a walk for 20 min (if you are a real keener you may listen to audiobooks while walking to fuel both your brain and your body). If you want faster weight loss results or want to improve your conditioning more quickly I recommend you walk for longer periods of time or walk in a more hilly area. However, being in shape is NOT enough to enable you to play hard all the time. Being able to play hard means that you are locked into every play and playing with the ferocity of a lion! You have to have the desire and intent to dominate every play. Russell Westbrook is my favorite player to watch right now and is the best point guard in the NBA because he plays with unmatched energy on both sides of the floor. He has mastered the skill of playing hard on a consistent basis. Sometimes he does a get bit too aggressive. But as a coach it is way easier to reign in an overaggressive player then it is to coax a passive player to be more aggressive. You need to play your sport like a lion stalking its prey and going for the kill. If you want coaches and scouts to notice you play harder then anybody else. This is something that will not happen overnight but it is a skill that you must continually focus on and push yourself to become better at. I have never heard a coach say a player plays with too much passion or energy. However, I have heard plenty of coaches lose interest in recruiting a player once they watched his “low motor”. If you desire to play past high school it is vital that you can play harder than or equally hard as anyone else to get noticed. This is specific for basketball players (also relevant to soccer and football as well) but the overall theme is very important. Instead of worrying about what you do NOT possess, maximize whatever you have. In high school I always thought that being able to run just a little bit faster, or jump a little bit higher would be what would push me over the edge and enable me to play at a superstar level. This is a very common belief that I shared with many of my peers and is indoctrinated by Sportcenter top 10. However, it is wrong. No doubt it would help if you could jump a little bit higher or run a little bit faster. But the amount it would help is overstated. I have learned this the hard way throughout my basketball career. I was infatuated with improving my vertical jump during high school, which caused me to neglect improving other more important skills such as developing better body control. It is very commonly misunderstood that if someone runs really fast or jumps high they are “athletic”. I view athleticism more holistically. Athleticism is the combination of how much power output you have AND how well you control it. After competing at the NCAA Division 1 level for track and field my speed and vertical jump has sky-rocketed but my basketball game has regressed. This seems counter intuitive but my game has regressed because I am not able to control my athleticism or execute at top speed anymore. I love to watch mix tapes of up and coming star basketball players to learn and pick-up moves that are working well for them (you should pick up on this reoccurring them, success leaves clues. So study successful people/athletes). Below is a mix tape of Marcus LoVett who is an up and coming superstar point guard. Physically he is average compared to what would be expected for a high major division 1 basketball recruit. What allows him to dominante is his ability to change his pace and control his speed! Speed is useless if you can not control it. A great example of this was one of my teammates on my high school basketball team who was a track star. He ran the 100 m in 10.7 seconds during his sophomore year of high school. You may think that he would have absolutely dominated on the court. Unfortunately for our team’s record he did not. Whenever he tried to use his full speed on the court he could not stop! Therefore despite having great speed it was useless because he could not control it. Continue improving your power output but do NOT make that sole focus of your training if you are an athlete that competes in a highly skilled sport (ex. basketball). Improving your ability to control your body is just as important. How to take your game to the next level? One of the most underrated aspects of your athletic journey. Today I had the great opportunity to watch the University of British Columbia Men’s Basketball team play the University of Western Mustangs (Recap of the game), with one of my best friends, Brandon. It was a super exciting game, and it was great to just hangout and spend some time with Brandon (check out TJ self development on facebook, some great info from him!). Between law school for him and graduate studies for me there is not much time leftover for either of us to hang out. Despite having a great time there was one thing that really bothered me during that game. The lack of fans at the game. The general lack of attendance overall was disheartening because it is terrible that these athletes who work so hard on their craft on a daily basis have only ~ 50 UBC students show up to their game when they represent an institution that has a total student body of roughly 50 000 students. However, what was more concerning was the complete absence of upcoming high school players who aspire to compete at the next level. If you are serious about taking your game to the next level it is a MUST that you make a concerted effort to take every opportunity available to you to watch as much high quality live competition as possible. You may instantly argue that you have NBA league pass and I watch a ton of hoops. Firstly, if you are serious about being the best player you can be then you must be a student of the game and study it to a point almost bordering on obsessiveness. If Kobe is an avid student of the game, you should be as well. 1. Watching live competition always trumps watching games on TV to understand the increased pace of the game – You do not fully appreciate the size, length and speed of play when watching it on TV. When you get to be up close and personal to the action you fully realize how fast the pace of the game is. For me this realization hit me when I got to view a Toronto Raptors practice. I was absolutely shocked how such large men could move so effortlessly and gracefully This is vital for young athletes to be exposed to because it gives you a barometer to measure your game against. If you want to play at the next level you can not judge your ability to do so by how you are doing with against your peers. You have to judge how you would fare against these taller and longer opponents playing at an increased speed. 2. Watching in person allows you to pick up on the nuances that you are not completing – Success leaves clues. Out of all the athletes that play high school basketball in the united states, only ~ 3% play basketball at any NCAA level (source). Those who compete at NCAA division 1 is much lower. So these university players must be doing something right! For example viewing how players communicate with each other or how they interact with their coaches and deal with criticism can teach you things that would have taken you years of experience to pick up. These are subtle aspects of the game that can not be picked up from watching a game online. 3. Developing Relationships with Coaches – If you have a dream to play at the next level it is key that you develop relationships that will empower you to do so. Being good is NOT enough. At the end of the day any coach is a person. They want to coach people they like and trust. So if your just as good or a little bit better than someone else the coach knows and trust they are going to go with the person they are comfortable with. This should not be a reason to be cynical. It is just human nature. So you should reach out to these coaches and express your interest in their program and attend their games. If you are a super keener research their program or get in contact with some players on the team and pinpoint a need for the program. Then offer the coaches to volunteer to help fix that problem. Do NOT just email them and offer your help! That is completely useless as it puts the onus on them to find something for you to do. And make sure to follow up as all college coaches are super busy, so if they don’t respond maybe they just forget! For any readers interested in playing at UBC specifically I have had the opportunity to sit down and talk with Coach Hanson (head coach at UBC), and Coach McKay (head assistant) and they are super personable and approachable people. I am sure they would love to have up and coming high school players at their games. Even if you do not end up playing for the particular coach you develop a relationship with you still can learn a plethora of super important lessons much earlier than you would have otherwise. – Take advantage of every opportunity to watch elite/college athletes compete in person! – It is key to develop relationships not just to make a team but also to learn.